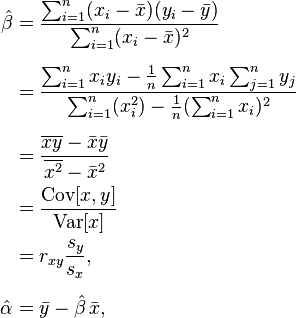 An approach for modeling the relationship between a scalar dependent variable y and one or more explanatory variables denoted X. The case of one explanatory variable is called simple linear regression. 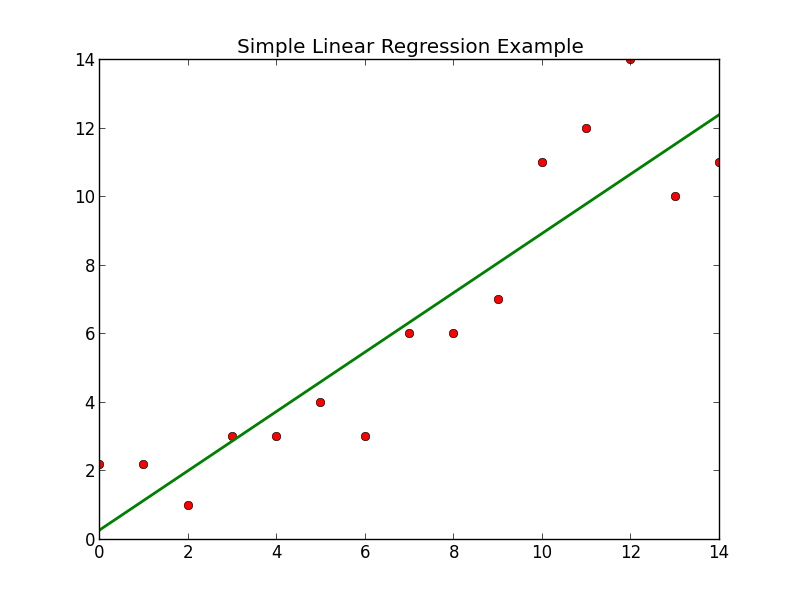 In this discussion we will be going over simple linear regression (meaning a linear/straight line). You may have seen this before on your graphic calculator or in high school. It is extremely useful for predicting trends, such as weights given height, heart rate given age, etc. Many people have used these functions in the past, but quite often it is a good idea to remind ourselves on how these methods are programed and applied in order to better understand how we can use them in the future. 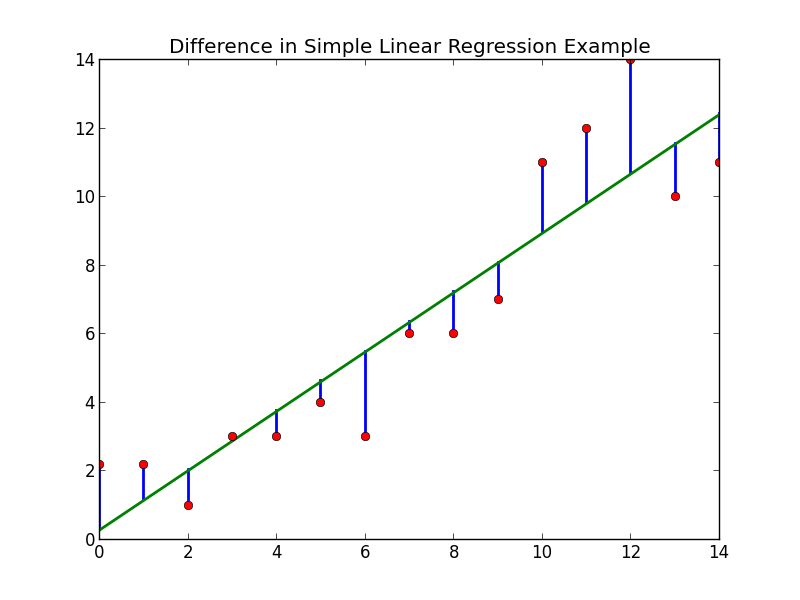 Linear regression is one of the most basic optimization problems, in which the error between the regression line and various points are calculated. Alright, so what does that mean? Where the sum represents the initial point to the final point (0 -> n so to speak), on which linear regression is going to be applied. If we look above this means x=0 to x=14. 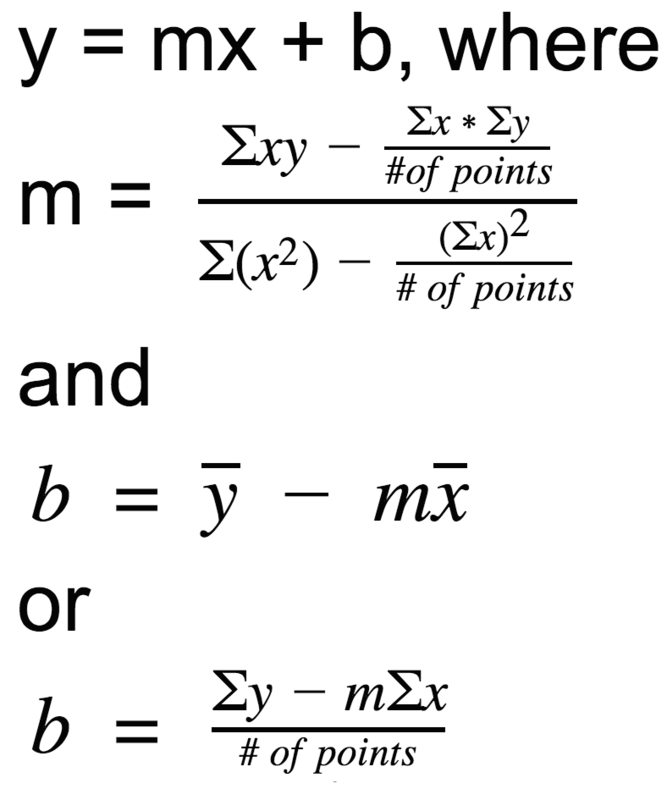 To me this equation seems far more straight forward and easy to understand. This may seem overwhelming at first, but breaking it into chunks makes it much easier. If you are having trouble understanding try to break the problem into small chunks, also try to look at the programming example below. 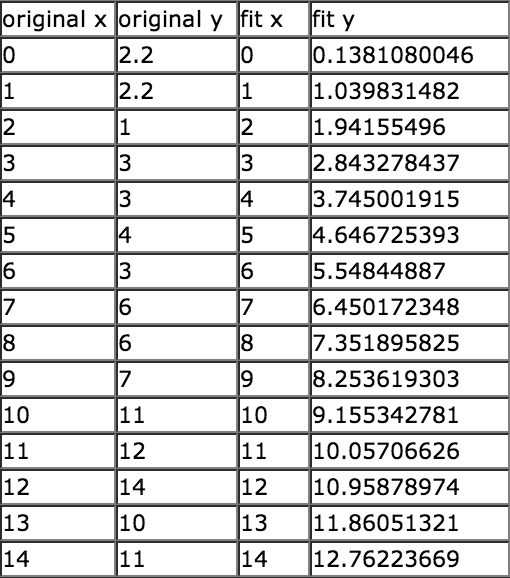 The output is simply an array of various (x, y) points, for example if you fork from my github and run the program the output would be the images and table in this article.